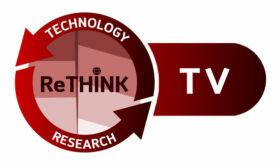 Rethink TV is our video research team, producing market forecasts, technology white papers and tracking operator-technology vendor relationships in OTT video. Rethink TV is our video research team, producing market forecasts, technology white papers and tracking operator-technology vendor relationships in pay TV, OTT video and have documented the transition of TV services from the TV set, onto laptops, tablets, phones and smart TVs and other devices. Our sister publication Faultline Online Reporter has been Rethinking the ideas behind TV for the past 20 years. We thought it was time you gave you a reliable source of business forecasts for the underlying technologies which have made that transition possible. Rethink TV is about OTT video, telling you which technology suppliers are winning and why. It tracks the top 100 paid OTT service providers and their suppliers, providers monthly updates to key providers and their services and each year forecasts the most significant new technologies which are being applied to OTT video, whether that is Adaptive Bit Rate packaging, encoding, DRM, recommendation systems, analytics or programmatic advertising systems. Available on an annual subscription basis, it’s designed as a tool to increase revenues from OTT video markets and survive the rethink of TV. 2) a repository of up-to-date profiles on the top 100 operators globally in pay OTT deployments plus the back catalogue of recently published reports. “Rethink TV” benefits anyone planning or researching their next move in the rapidly changing and sometimes erratic global TV delivery market. The OTT operator profiles provide competitive analysis for anyone wishing to gain a full understanding of their content and technology buying decisions.OTT operators are made up of telco, cable and satellite operators and pure play video services and are divided by geographical region: EMEA, North America, Latin America, Asia Pacific. OTT technologies and their suppliers in Encoding, Hybrid Set-Top Box provider, Packagers, Recommendation software, DRM & content security, Advertising insertion, Audience analytics, Middleware testing, Billing software and implementation, CDN supplier, CMS, and any other technology which the operators uses which influences its OTT operations. Any recent or historical OTT technology supplier deal, legal or regulatory event, competitor news that may affect the immediate future of the business is summarized here. An analysis of the operator’s supplier relationships and how the technology fits in to the existing OTT delivery mechanism, also, where possible a listing of replenishment cycles and when fresh RFPs may emerge. An examination of the strengths, weaknesses and competitiveness of the operator and its rivals in the market. Does the OTT business model succeed? Is the current set-up enough to grow the customer base? Are there any external considerations such as take-overs or mergers? etc. Who should buy this service? We have built this service for Pay TV Operators, Broadcasters, all types of network operators, Telcos, cablecos, satellite and IPTV operators, and equipment and software suppliers to these companies, including encoder manufacturers, DRM specialists, handset makers, chip designers and sellers of advertising insertion and recommendation systems. A member of our team would be happy to send you some free samples that will help you to evaluate the research in Rethink TV and discuss a full subscription with you . We will not send issues to non-corporate email addresses such as Gmail, Yahoo or Hotmail. Sign up for the full paid edition of Rethink TV.